Today's post is all about the tunes. 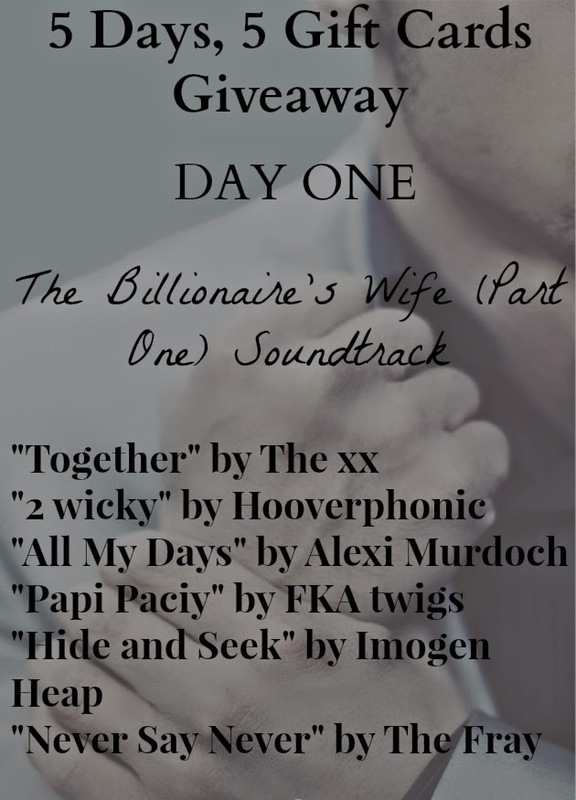 Below are my picks for The Billionaire's Wife (Part One) soundtrack. Each one captures the feel and mood of the first installment. Enjoy! Can't wait to read the new series!!!!!!!!!!! This was a good book .but it was a short .